The Remo Drumhead is designed to conform to variations in Bearing Edge and Counter Hoop configurations. The ability to conform to Drum Shell differences allows the Remo Drum Head to help maximize the sound of All drum designs. 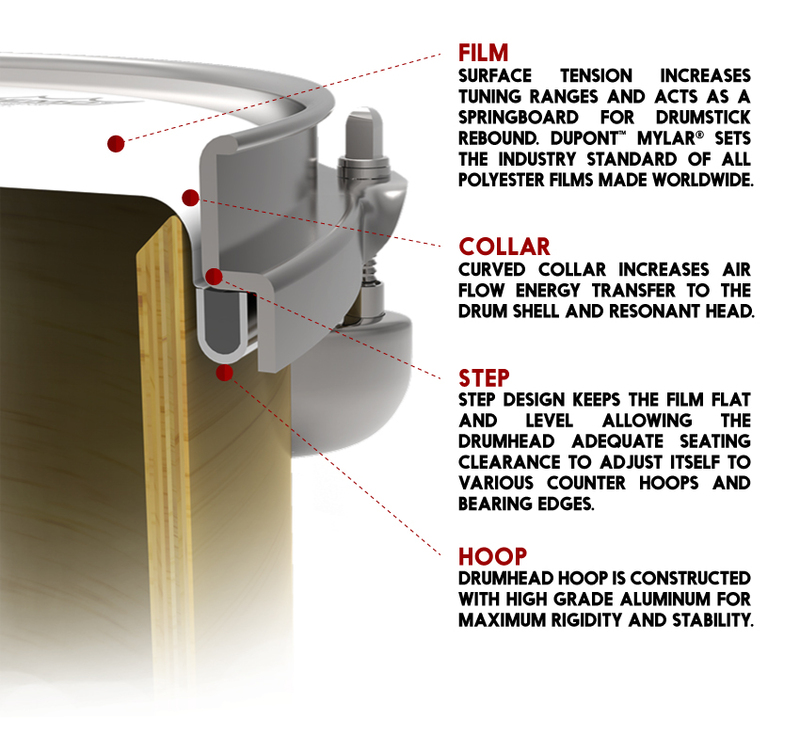 Remo’s design allows the Drum Head to perform in concert with a wide range of bearing edge designs without creating detrimental contact with the counter hoop.